Agriculture continues to be the engine of inclusive and accelerated economic growth, development as well as livelihood security in the Asia-Pacific region. The rural youth in the region, however, is moving away from agriculture due to lack of basic amenities, professional knowledge and inspirational pathways for their employment security. It is very well appreciated and evident through the successful business models of leading public and private sector organizations as well as multi-national companies (for example IT sector) that youth is more innovative, productive as well receptive and curious to engage in and contribute to new technologies and advancements. On the contrary, in agriculture sector, there has been a wide gap in youth’s energy and elderly people’s experience, which is leading to ageing farming, slow pace of adoption of new innovations and technologies, huge losses in technology dissemination and delinking science with society and hence making farming non-remunerative, non-resilient and unattractive for the youth. The developing countries of the region are facing challenges of vast demographic divide within society, region and country due to migration of rural and agricultural youth (including young women) to booming urban and non-farm sectors to seek socially more respectable and remunerative jobs. The majority of rural farm youth of the agriculturally vibrant and important region of the world have almost no attraction towards farming due to lack of professional capacity and skills on agri-businesses, access to new knowledge, finance, markets, enabling policies and hence becoming out-of-place and underpaid job seekers. 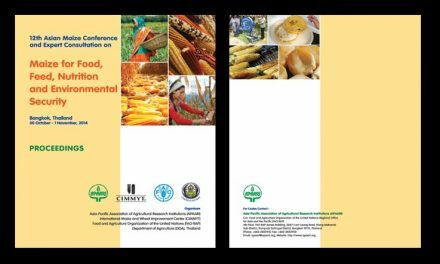 Under such scenario, therefore, the business as usual in agriculture is neither a remunerative and respectable profession particularly for youth nor a sustainable pathway to meet food, nutrition, and livelihood commitments in the Asia-Pacific region. Therefore, there is an urgency to comprehensively define youth (including young women) and agriculture priorities, policies, investments and to develop a repository of best-bet practices/business modules for possible replication in similar geographies and socio-economic circumstances across the region. 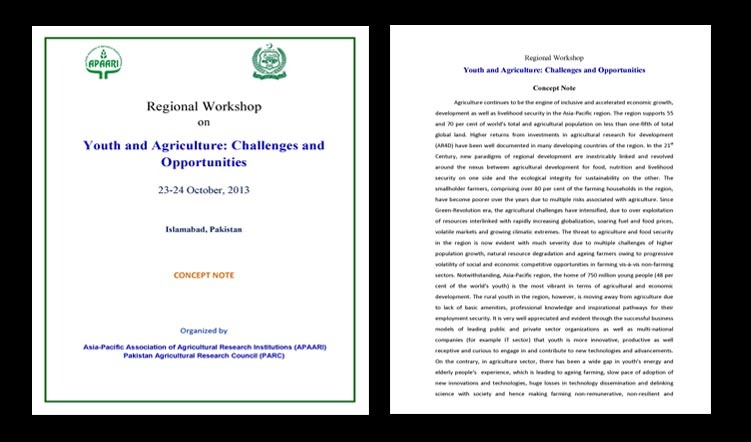 Realizing new challenges and opportunities for youth in agriculture, the First Asia-Pacific Regional Workshop on “Youth and Agriculture: Challenges and Opportunities” is planned to be organized by Pakistan Agricultural Research Council (PARC) in collaboration with the Asia-Pacific Association of Agricultural Research Institutions (APAARI) in Islamabad, Pakistan on 23-24 October, 2013. 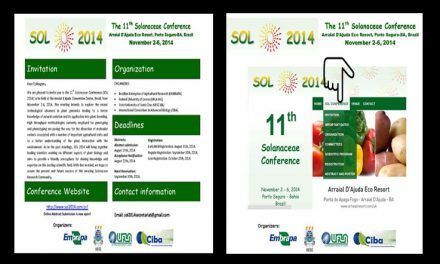 The 11th Solanaceae Conference on 2-6 November, 2014 at the Arraial d´Ajuda Convention Center, Brazil.